Don’t want camp to end? We offer a variety of specialty camp programs – Swim Camp, iCompute Multi-Media, Back-To-School, Cedar Creek Riding Camp and Learn-To-Bike. Advance your aquatic skills through the Lifesaving Swim program. 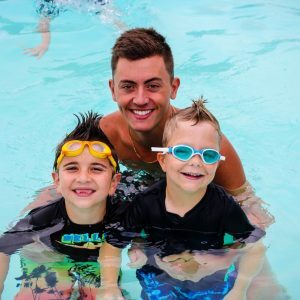 Taught by certified swim instructors, campers will work on improving swim techniques and confidence in the water in a fun and challenging environment. Campers will participate in two one-hour lessons per day, a recreational swim in our heated waterslide park and a variety of camp activities. For campers who love horses. The full day English riding program focuses on learning and having fun. Campers participate daily in english riding lessons, stable management and camp activities. This program, taught by a certified OCT teacher, is a great way to motivate your child and get him/her prepared for the school year ahead. 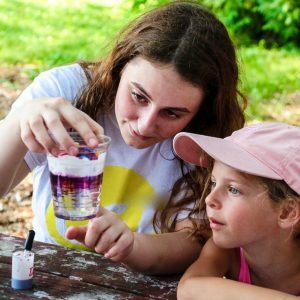 In the morning, campers participate in a fun and interactive ‘Back to School’ program which focuses on literacy, art, math and science. The program also includes a recreational swim in our heated junior waterslide park and traditional camp activities in the afternoon. 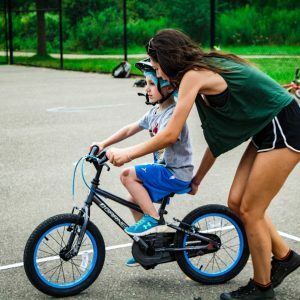 Campers will learn to feel confident on a bike as they progress from training wheels to riding independently on a two-wheel bike. Our specially trained staff will teach riding and balancing skills through games and fun activities. Campers will ride twice a day, and receive a recreational swim as well as participate in other Traditional Camp activities. Bikes and helmets will be provided. This is a perfect program for campers who are really interested in computers and digital technologies. 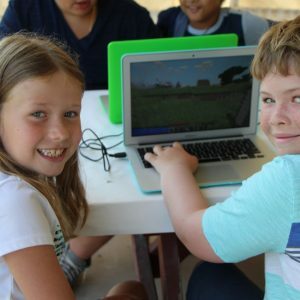 Campers participate in hands on workshops in video game creation, digital story & music creation, comic creation, lego animation and other multimedia platforms. Campers work on and create their own projects. $495.00 prior to June 1, 2019 ($545.00 after June 1, 2019) – Camp fees are exempt from HST. 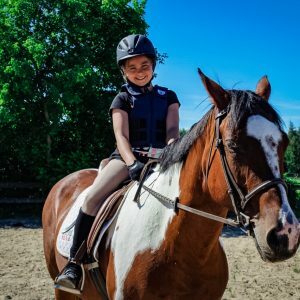 Cedar Creek Riding Camp Horse & Tack Fee – $120.00 + HST. Learn-To-Bike Fee – $60.00 + HST. Point-to-Point Bus Transportation Option – $60.00 + HST. Before Camp Care Option (8:00 a.m. – 9:15 a.m.) – $40.00 + HST. After Camp Care Option (4:00 p.m. – 5:30 p.m.) – $50.00 + HST.